In my last post on the future of work I mentioned briefly the pervasive influence of the mobile phone. 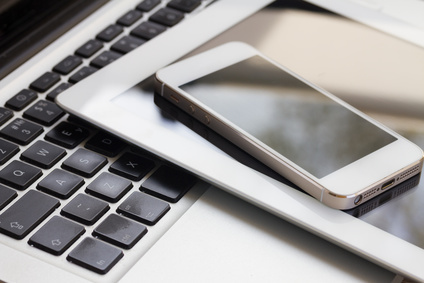 In this post, I am exploring the use of mobile technologies (phones, tablets, laptops etc) and ways that these can provide the means of a future career or job. Mobile technologies and the internet revolution are affecting the way people right around the world are communicating (obviously! ), and also the way they work, shop, gain an education and run businesses. I suspect that the changes we are presently witnessing because of the digital revolution and mobile technology are minor compared to what is to come. Consider, for example, the education system in many countries today. Children at school, even at a very young age, because of the availability of school laptops and computers, are learning and living in an environment where there is little awareness that there is a technological revolution taking place. For them, easy access to technology as aids to living are a normal part of living. What will their influence mean for future lifestyles, careers, education and leisure. Interesting times ahead! If so, you may be interested in learning about how to use digital marketing to sell your products and services to your customers. It involves more than just having a website. Click on this link to get the information. What is disruption technology? The short answer…….one that displaces an established technology and shakes up the industry or a ground-breaking product that creates a completely new industry. By any measure Airbnb is an example of the utilisation of a disruptive technology – the mobile phone. By all reports traditional hospitality establishments are definitely feeling the effects of the competition. 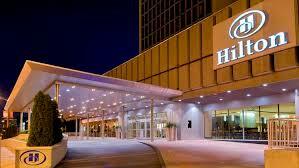 Hilton hotels, as you are probably aware, is a well known worldwide business. Established in 1925, it is probably the most recognised name in the hospitality industry. Compare this with Airbnb. It is also a household name as a provider of good quality accommodation. It has already surpassed accommodation nights booked than for the Hilton international hotel chain. It took just 8 years to achieve this……thanks mainly to mobile technology. So, I started looking at bigger picture changes brought about by the digital revolution which have already had a major impact on society, and careers. I’m taking a guess that in this digital age most people are still interested in making money! So, when you have a couple of minutes to spare, do an internet search along the lines of “how to make money with your mobile phone”. There would be thousands of opportunities listed, however for my own research purposes ……..I looked at maybe a dozen sites and found some of these opportunities to make some extra cash. The ones listed below seem to be commonly featured in articles. Gigwalk – involves performing simple field work, such as mystery shopping, delivering items, testing mobile apps, taking photos, and more. Typically these seem to be for people who want to earn a bit of pocket money……but I suspect they wouldn’t provide for a comfortable or reliable standard of living. 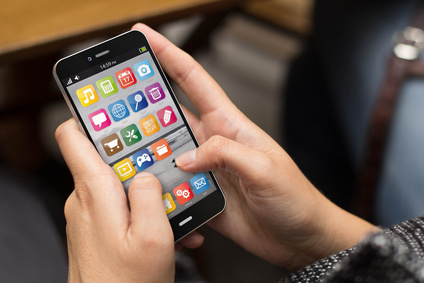 Anyone who has a mobile phone will be using pre-loaded apps on their phone. And…….. most likely will have also purchased various phone apps. In case you don’t know, an app (short for application software) is simply a piece of software, or a program which is designed to fulfill some purpose. If you have the ability to develop a useful or popular app there is some serious money to be made. There are millions of apps available, you just need a way to make yours stand out. Unfortunately, most of us don’t have the creativity, the design skills or tech know-how to design an app that goes viral. Airbnb began in 2007 – it had the simplest of beginnings. Founders Brian Chesky and Joe Gebbia couldn’t afford to pay their rent. So……they decided to turn their loft into a lodging space with three airbeds on the floor, and promises of home-cooked breakfast in the morning. They set up a simple website and got three renters (two guys, one girl) for $80 each. A year later they called in a good friend, Nathan Blecharczyk, to join the venture. They launched a company, then called Airbed & Breakfast. Then they did some super serious marketing of their business to people attending/involved with the Democratic National Convention. They wanted to take advantage of the hotel room shortage, and they needed to raise funds. Their current strategy is to enable every room available to be booked on a mobile phone. This means they want every host on mobile. This clearly is a digital revolution which is driving major changes to a very traditional business. It serves as great example of what a disruption technology actually is. Airbnb doesn’t need to do any of this. There is no need for them to have bricks and mortar establishments. In fact for several years they continued to operate the business from the loft apartment where they rented bed space! Their role is simply to connect buyer and seller of accommodation services. Hospitality establishments have to pay for a range of taxes, and for various types of licences and permits to stay in business. This is an overhead. But what about the governments and other regulatory authorities/agencies who collect these taxes? The taxes they collect, in turn, pay for the employment of people who work in those organisations. Those same taxes, levies and permits also fund the various services which are provided to the community. If the hospitality sector, as we know it today, continues to be affected by disruption technology (the mobile phone), what happens to the collection of taxes and levies which enable employment of people, and provision of community services? I don’t have an answer. But……..if it is no longer profitable for the likes of the Hilton chain to operate, their hotels will close, and people will lose jobs! Another very quick example. Uber provides a service which is available via your mobile phone. A friend was recently in New York and used both Uber and a traditional taxi service. The taxi driver admitted that Uber was putting them out of business. I think you can understand why this is happening. How will the City of New York replace this stream of income to pay salaries of city employees, and to pay for various community services. Airbnb and Uber are just two examples of how quickly traditional employment options and career pathways are being changed by disruptive technologies such as the mobile phone, tablets, and laptop computers.